What is Ultimate Paid Referral System? Answer: It is the procedure to start your own earning website, as a side business or even multipurpose. 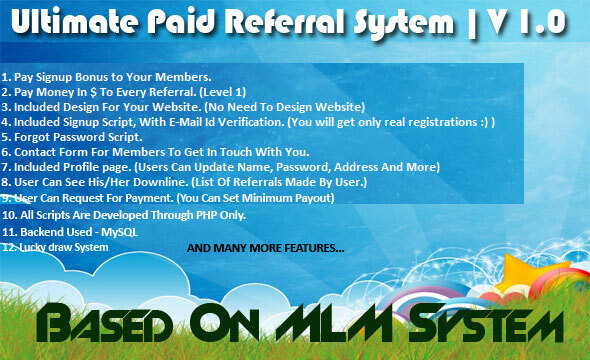 This script will help you to earn money online and you can start your own MLM system. This script is totally based on MLM system. Time to time more features will be add on the basis of demand.